This exceptional extra virgin olive oil is produced exclusively from Arbequina olives grown on the family-owned farm of Nobleza del Sur in the fertile region of Jaén, an area in Southern Spain renowned for its abundant sunshine and unique microclimate. The olives are harvested early in October and crushed at their local family mill, resulting in an oil that is wonderfully aromatic and fruity with notes of green apple, banana and ripe tomato. This oil is excellent on leafy green or fruit salads, steamed vegetables, light fish dishes and even drizzled over vanilla ice cream. Located in the fertile area of Jaen in the province of Andalucia, known since ancient times as Olive Paradise, Nobleza del Sur has been cultivating the olive for more than three generations. Today the company is involved in the complete process of production from cultivation, harvesting, processing and storage, to packaging and marketing. Each year they select the best fruit of their family farms and carefully harvest by hand at the optimum moment of ripeness to obtain the best natural olive juice. The olives are transported to their own nearby mill where the oil is extracted at low temperature with the latest machinery under strict quality control. 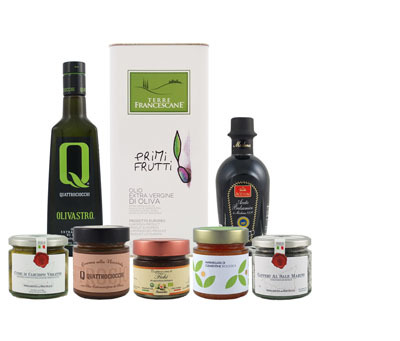 The company uses sustainable methods and environmentally friendly production resulting in exceptional quality extra virgin olive oil for the most discerning palates.